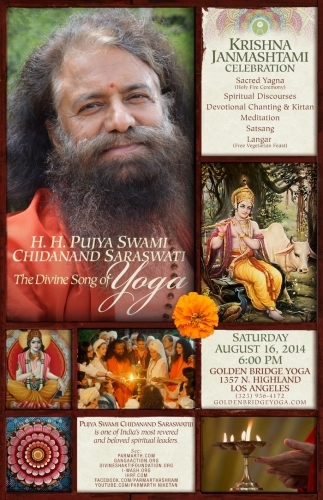 "On the 16th of August, we'll be so blessed with the presence of a holy man from India, H.H. Pujya Swami Chidanand Saraswati. We'll honor Lord Krishna's Birthday at Golden Bridge Hollywood with a Yagna, which is a fire ceremony for purification that they do every single evening alongside the Mother Ganga in Rishikesh, India, which we love so much and is where we hold our Teachers' Training Immersions. In this glorious daily celebration you throw into the flames a collection of many kinds of seeds to purify your day so that by the time the Sun sets, you've entered the evening time with peace, tranquility, and a return back to your heart... no matter what happened during the day. 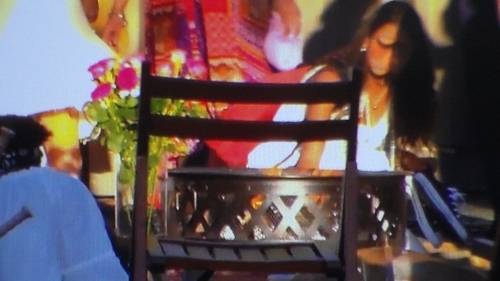 Now we here in Hollywood shall be blessed to celebrate in our parking lot with a contained fire, beautiful prayers, chanting, a message from the holy banks of the Mother Ganga through our Beloved Swamiji, and beautiful food. This beautiful celebration has no fee, no cost. Our celebration requires just your presence. Bring your family and your friends. This will truly be an occasion to behold. Lord Krishna ignited the Souls of thousands of people to Unconditional Love... no matter what. Right now on this beautiful Earth that God has given us, we need to return to Love. Right now...we need to return to Love. I took many pictures and videos which I will post when I get home to Yuba City. All in all it was very very disturbing to witness how these Yogi Bhajan followers who call themselves Sikhs and use Sikh names, worship Hindu gods and practice Hindu rituals. My conclusion is that "They just don't care!" I am sad to report that 3HOers like Gurmukh Kaur are beyond arrogant and completely wrapped up in their fake Hollywood world. They are completely under the control of maya! The Swami has them under his spell. I am so happy to be out of that awful Hollywood scene of maya. Its only by Guru Sahib JI's grace that I survived. 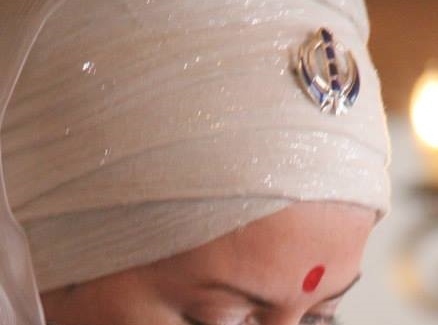 Gurmukh Kaur's Hollywood Hindu fire pujas & havans are violating Sikh code of conduct for Sikhs ! 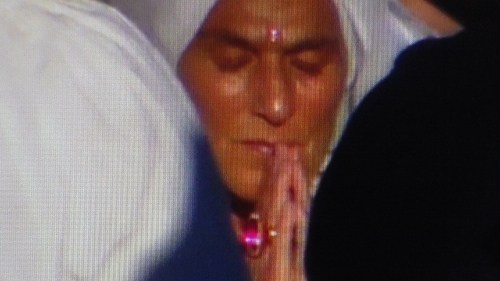 Sikhs will be pleased to know that Gurmukh Kaur's kundalini yoga studio where the Hindu fire puja was held is being forced to close for lack of students. 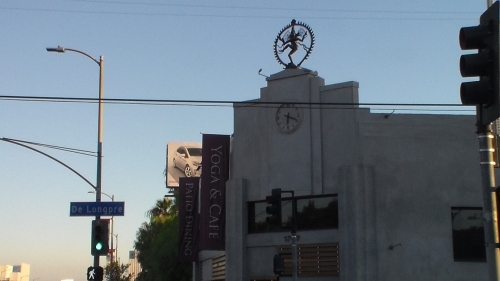 "During a telephone interview on Friday afternoon, Gurushabd, who opened the studio with his wife, Gurmukh, in 1999, confirmed that the couple had decided to shutter the location,...."
"A famous Hollywood yoga facility once frequented by Russell Brand and Demi Moore is shutting its doors. 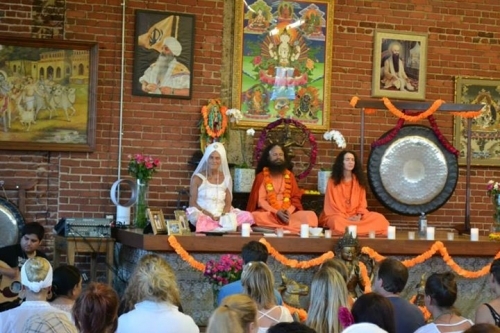 Golden Bridge Yoga blasted a newsletter on Friday morning penned by owners Gurmukh and Gurushabd announcing the closure, which is scheduled for the end of September. During a telephone interview on Friday afternoon, Gurushabd, who opened the studio with his wife, Gurmukh, in 1999, confirmed that the couple had decided to shutter the location, blaming the demise on local competition. Golden Bridge will continue to operate its two other studios, in Santa Monica and New York, overseen by their daughter, Gurushabd said. Golden Bridge garnered a considerable amount of press attention in late January 2013 when Brand staged a walkout in favor of yoga instructor Tej Kaur Khalsa. According to reports, Brand was upset that Golden Bridge wouldn’t let her out of her contract, so he led a charge out of the building and helped her set up shop elsewhere. Moore was also part of the exodus. “There are so many reasons, you’d have to list 35. My wife and I travel a tremendous amount, and we’re not there that much anymore. It’s just time to move on,” he said. Reps for Brand did not respond to requests seeking comment.